Tile and grout cleaning mainly gets divided into two types of tile cleaning. First is the tile and grout scrubbing and steaming. 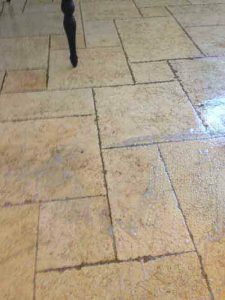 While the other way to clean is geared specifically for natural stone tile floors. The natural stone floors could get damaged by certain cleaning products. Also, in a similar way to wood floors, it needs to get the top layer buffered and sanded down. Then a layer of polish is applied on the new buffered tile floor and it looks like new again. We offer all tile and grout cleaning solution, however, the steam cleaning is much cheaper than buffering. Nevertheless, it is not as deep and thorough. This must be the most frequent tile and grout cleaning service on demand. In this process we apply deep cleaning products on your tile and grout lines while scrubbing every square inch of your floor. Then, we carefully steam you tile floors and remove the dirt that got stuck on your grout lines and in some areas of your tile.The grout lines are made of a sand like material, therefore they absorb fluids. So, with time when you clean your floor, the grout line absorb the dirt and your cleaning products. Therefore, you must be familiar with the dark or even black shade your grout line gets with time. It is very important to apply a sealer on the grout lines after the tile and grout cleaning job is performed. By doing so you would prevent the grout lines from absorbing any dirt for a long time. It actually provides somewhat of a thin layer that protects it from absorbing anything. Anaheim, CA, is a large city with many homes build with tile floor on the bottom floor. The hot temperatures in the summer have slightly changed the style of floors in the area. Therefore, we see a large amount of calls for tile and grout cleaning in Anaheim. Also, we offer same day tile and grout cleaning in Anaheim for any last minute need.Please contact Dr. 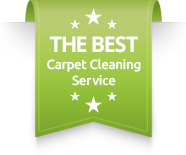 Carpet Anaheim for more information about our tile and grout cleaning in Anaheim.